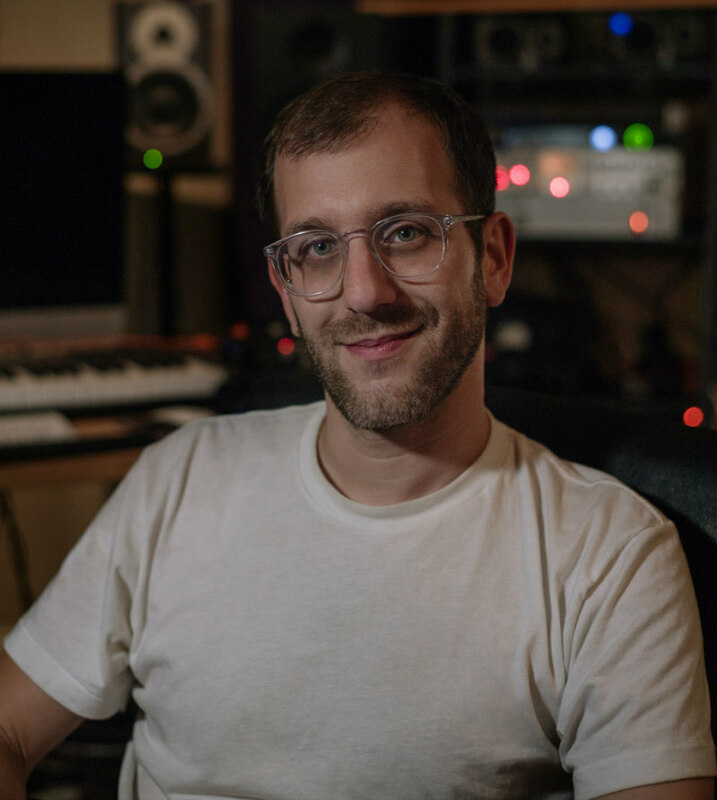 We spoke with composer Jesse Novak, best known for his work on Netflix animation BoJack Horseman. Hey Jesse, can you tell us when you first discovered your talent for music? Hey Movie Waffler! As a kid, I had a neighbour who was older and farther ahead with his piano lessons than I was. I was jealous that he was playing The Entertainer by Scott Joplin, which I loved for some reason, so I learned it by ear. My version of it wasn't perfectly accurate but I could tell the adults in my life were surprised that I was able to do this. Later on, when I started playing guitar I didn't need tabs or chords to learn songs; if I heard it, I could play it. So that became something I was proud of. How did you first enter the world of composing for TV? I had scored dozens of short online videos, a couple of feature length indies, and a number of commercials by the time The Mindy Project pilot started production. My brother was an executive producer and he helped me get my foot in the door, presumably to contribute one or two music cues alongside someone with more TV experience. I didn't expect to actually get the job, but I still wanted to do my best so I kept sending them music and little by little my cues started making it into the final cut. At a certain point I realised I was basically scoring the entire pilot. The series offer came shortly after that. I imagine you must work to very tight deadlines. How much time would you have on average to write and record a score for an episode of a TV show? The two shows I've been working on have wildly different timelines. BoJack Horseman episodes take about four months from my initial score to the final product. For Mindy Project it's less than a week for each episode, sometimes as little as three days. I have to assume that there's a great deal of shows that operate somewhere in between in terms of their production schedules and workflow. Scoring every episode of shows like Bojack Horseman and The Mindy Project means you play a larger part in shaping the overall experience of those shows than directors who come in for individual episodes. Do you enjoy having this much creative input into the public's perception of a show? I do enjoy it, though I like to tell myself the public doesn't even notice the music....that helps me avoid feeling too much pressure! I like the idea that it's subliminal. Tell us how differently you approach composing a theme as opposed to a piece of incidental music. I think it's a bit like being a lead actor vs. being a supporting actor, or maybe a supporting actor vs. a background actor. With incidental music, I believe you should not overpower or distract from the story, the acting and the writing. You're there to support, just like costumes, art department, lighting, etc. There may be instances where you are heightening a feeling that is already there, like suspense, or excitement, or romance, but you want it to blend in neatly with what's happening on screen. I really try to feel the mood of the scene and make the music that supports it. For theme music it's like, "okay, for this brief moment, the spotlight is on you and you need to do something that stands out." It becomes part of the identity of the show and doesn't disappear into the background in the same way. There's also a long tradition of singable, hummable, memorable TV themes that I consider as part of the overall art. It also tends to air extra loud. When I'm writing a theme I try to imagine someone who really loves the show and gets in a good mood every time they hear the opening notes. That motivates me. 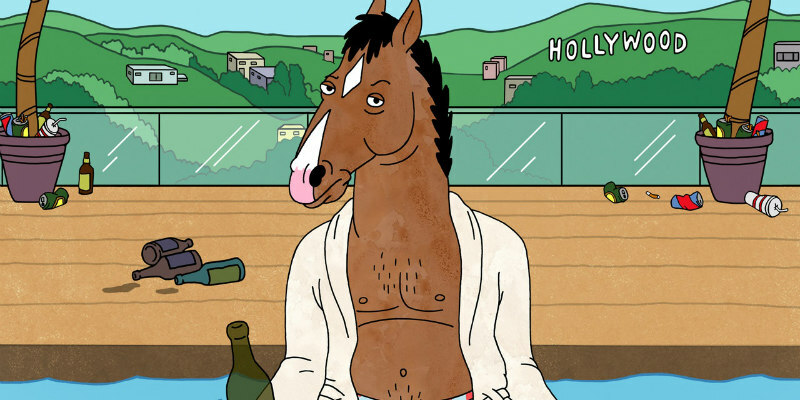 As Netflix doesn't release ratings, it's difficult to know which of their shows might be considered 'hits', but BoJack Horseman is certainly one of the most talked about shows to emerge on the platform. Are you given any feedback on where it ranks among Netflix's shows in terms of viewers? No, but I can read the mood of the BoJack team and it's obvious that Netflix has always treated them well and shown them a lot of respect. That tells me the show is valued. Much more so than traditional TV, Netflix viewers will often listen to their shows through headphones. Is this something you take into account when scoring BoJack? Wow, great question! I never thought of that, but I do tend to be extremely detail-oriented with the music and labour over some subtle aspects that might get lost on small speakers, so it's nice to remember that some people are going to get the full effect. Do you adopt different approaches to scoring animation and live action? I think people, myself included, have some stereotypes about "cartoon music," even though it could sound like literally anything. There's a connotation of the zany and the wacky. Maybe it's the association with children's entertainment, or maybe it's just that you're already in a bit of a surreal place when you're looking at it. I think I focus on making live action feel "real" by following certain rules and being consistent, whereas animation feels a little lawless, like anything goes, especially if it makes people laugh. What lies ahead for Jesse Novak? Currently I'm starting work on the next season of BoJack and scoring the last few episodes of The Mindy Project, which is in its final season. I have a friend in New York who I'm collaborating with on a an experimental theatre piece. I recently finished mixing a song for YACHT. I'm supposed to write a piece for the unveiling of the Triforium, which is this crazy giant musical sculpture in downtown LA that's being rehabilitated. Basically my hope is to continue working on funny, interesting TV shows like I've been doing and also keep finding some more unexpected places for my work.